Velké Březno Brewery. The brewery has proudly overlooked the banks of the Elbe for more than 260 years. The name of the Březňák beer is derived not only from the name of the village, but also by the lager which used to be brewed in the month of March (březen). The brewer’s craftmasters reject the excesses of modern technology and rely on intuition, honest craftsmanship, and quality local ingredients – Březňák has thus been dubbed an old-school beer. In 1906, the face of the Velké Březno beers became train station master Viktor Cibich for the lifetime of the beer, and his face graces the labels and beer glasses even today. Light draft beer, light lager, the brewer’s favorite Březňák 14°, and since last year the popular Březňák 11°. Some businesses also tap the unpasteurized Březňák tank beer. During transport from a brewery in special tanks, the beer does not come into contact with oxygen, thereby retaining its rich and fresh taste. 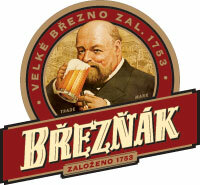 Velké Březno beer is on tap in restaurants in northern Bohemia as well as in many businesses throughout the Czech Republic. It’s commercially available in cans, 0.5-liter glass bottles, and PET bottles (light draft Březňák). Visitors can enjoy a visit to all the brewery’s major operations in an interesting guided tour which includes a demonstration of the classic technology of brewing Czech beer and a tasting at the brewery. For individuals, the brewery is open every Saturday from 2:30 pm. Groups of over 10 people can arrange a visit at any time by calling +420 737 224 087 or at the e-mail address josef.helebrant@heineken.com. Basic admission price is 100 CZK.